Tis’ the season to celebrate Dads and Grads! With Father’s Day quickly approaching on June 15 and graduation season among us, it can be a hectic time for gift buying. It’s not easy finding that one gift that Dad will love, or that one perfect gift to celebrate a recent graduate’s academic accomplishments. We want to help! 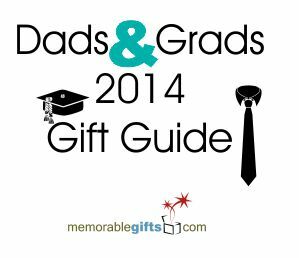 Memorable Gifts is here to make your shopping experience a lot easier with our “Dads and Grads 2014 Gift Guide”. Check out our online store for plenty more gift ideas for Dads and Grads. Whether you’re celebrating a dad or a grad, your job is to make them feel appreciated. For students, graduation is the biggest day of their lives. It’s a day when they can look back and appreciate all that they have worked hard to achieve. Graduation is the day that makes it all worth it. Whether they’re graduating from high school or college, they deserve to be celebrated. Gifts for graduates typically consist of items that hold memories. Things like frames, albums, and keepsake boxes make great gifts. 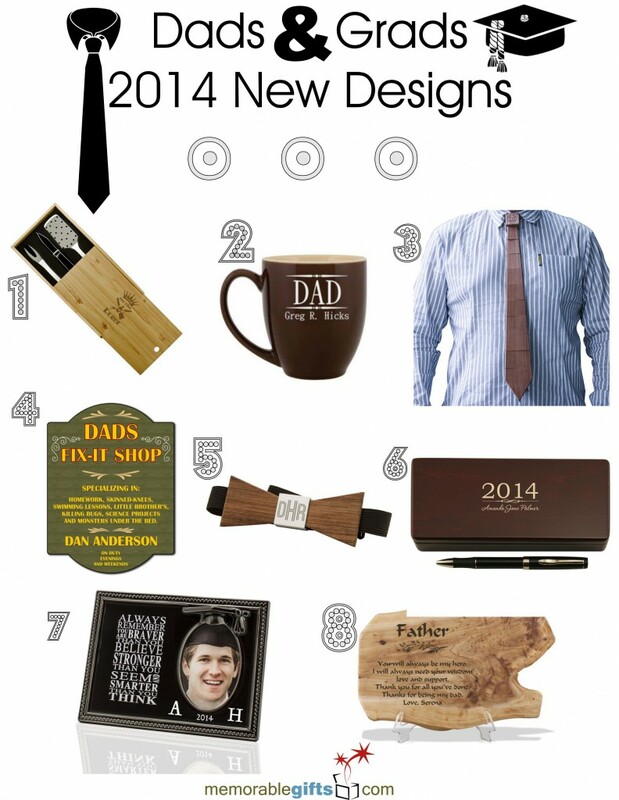 These are all great gift ideas for Dads and grads, though I think that a tie is rather boring. Its basically the go-to gift for any man who wears ties. My favorite from the list is #4, the sign. I especially like that it can be personalized.